If “the eyes are the windows to the soul,” then “glass windows are the soul of your glass sunrooms.” Nothing lets the light in (or keeps the bugs and the elements out) better than glass, and it’s not just any glass. The new high-tech performance glass blocks up to 90-percent of UV rays, and reduces energy costs. Depending on your needs and budget, a variety of glass options can be utilized in any Carolina Home Exteriors Sunroom. Single-Pane glass windows are the most affordable and will provide a durable, clear view to the outside. If you’re adding a Four Seasons Sunroom you’ll want to use Energy Star-rated insulted double-pane windows to maximize energy efficiency, reducing heating and cooling costs. Further, Carolina Home Exteriors installs tempered glass, which is the same formula used in automobile glass. It resists breaking, but if it does it shatters into tiny pieces, reducing the risk of injury and damage to surrounding materials. Energy Star is a U.S. Government-recognized classification designed to help consumers know the true cost of everything from appliances to HVAC, and even windows. 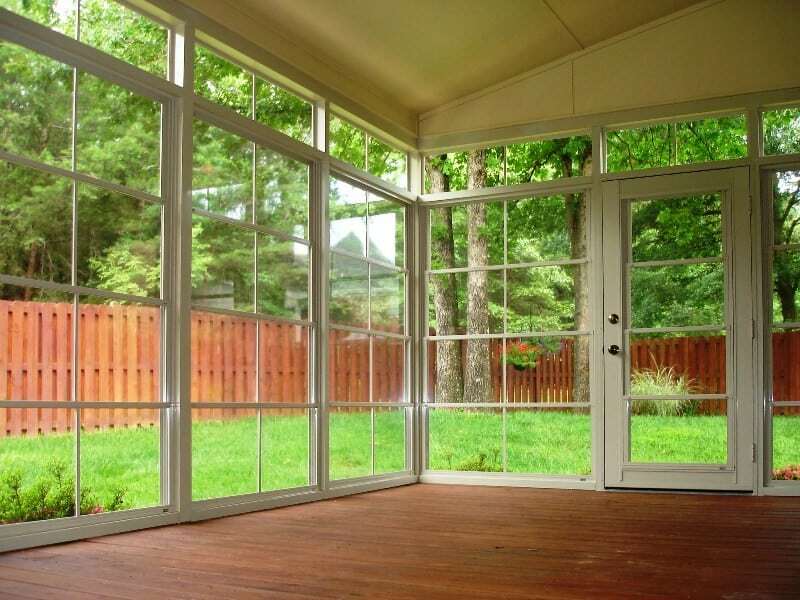 Is the glass in your sunroom energy efficient? It is! In varying degrees, based upon your budget and the room’s alignment with the sun. Our sales people and designers can answer detailed questions about efficiencies and costs. Where can a sunroom go? Our sunrooms are tailor made to fit onto most homes. 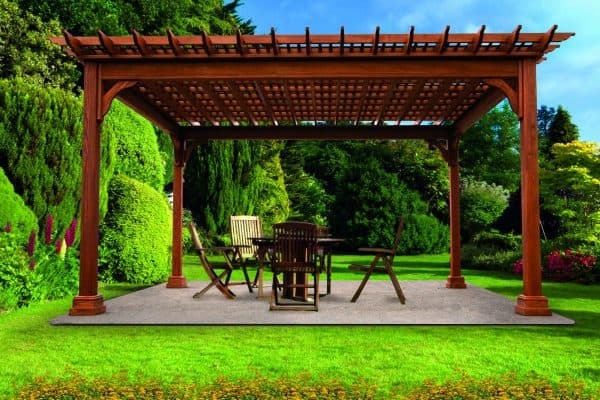 Many of our customers commonly hire us to enclose a deck, a patio area, or even build one from the ground up. We offer a wide variety of products to fit your needs and that will adapt best to your home. Sunrooms can be built on a new or existing concrete slab, deck, patio, porch, or almost any other location next to or underneath a pre-existing structure. Our windows, in almost every style imaginable, come with options such as security locks, operable double sliders, tempered glass, and fully removable screens. They meet the national glass code and dual tempered glass is A-Rated ALI Laboratory. Will my sunroom get too hot or too cold? CONSERVAGLASS PLUS™ has an exclusive multi-coating, which contains nine different microscopic metals and compounds. In the summer, this allows beneficial natural light to flow into your sunroom, while reducing the entry of harmful ultra violet rays. In the winter, argon gas sealed within the dual paned glass prevents heat loss, creating a comfortable, energy-efficient environment. Click below to download our Hiring A Contractor checklist! With so many available options, we recognize that plans to modify your home with a sunrooom, pool enclosure, or any home addition, can be both exciting and a challenge. At Carolina Home Exteriors we are not only experts in the design and project completion phases of a new sunroom, Four Seasons sunroom, patio enclosure or other addition, first and foremost, we are dream builders. We listen first, and then our sales and design teams walk you through, step-by-step all the myriad and wonderful possibilities that help match your dreams with reality. Product catalogs, photos from satisfied customers, and careful attention to your lifestyle goals, are how we help inspire your choices. It’s easier than you think, and we offer this all-important service at no charge. Download our catalogs and get inspired! A few tips on designing and decorating. You already have an idea in your head, now it’s up to us a Carolina Home Exteriors to connect the dots, and believe us, there are quite a few. We help you work through how you’d like to use your new home addition; maybe a Three Seasons Sunroom will suffice, maybe you want unfettered year-round usage and nothing short of a heated, air-conditioned four seasons room will fit the bill. Then there’s the project budget. How can you maximize the dollars available to get you closest (maybe even exceed) the idea you’ve been dreaming about? We have the tools, the knowhow, the product knowledge and the licensed, insured experienced homebuilders on staff to deliver your dreams. It all starts with a no obligation visit. So why choose Carolina Home Exteriors? It’s a fair question, and an all-important one. Not all builders in the area are reputable. Many don’t or won’t obtain the necessary legal permits, which makes you liable, and many don’t stand behind their work, we do. Additionally, we offer fast, free estimates, guarantee our materials and workmanship, and employ only licensed general contractors to complete the work. We had our screened in porch closed in with 2 large sliding windows and 1 smaller sliding window and door. The job was done in a timely manner and looks great. This company was a bit higher in price than others we looked into but we believe you get what you pay for. Excellent job. You're in control. Select the addition of your dreams and then customize it to your needs. Choose your framing material, walls, roof style, concrete, decking, flooring, etc. Hundreds of combinations at your fingertips. We'll send you a full report with all of your selections and an instant estimate that you can download. Get started now to get your customized free estimate. This description should only be about a sentence. See all our Google reviews!